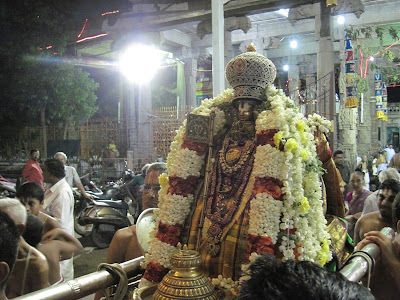 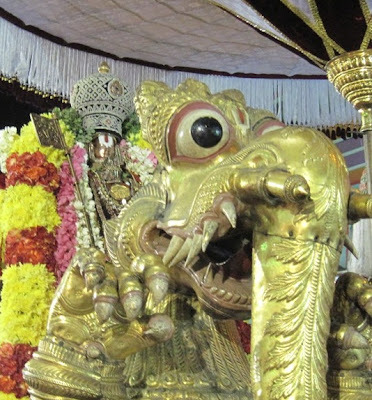 Today – 16th Oct 2012 – is the Sixth day of Swami Manavala Maamunigal Uthsavam. 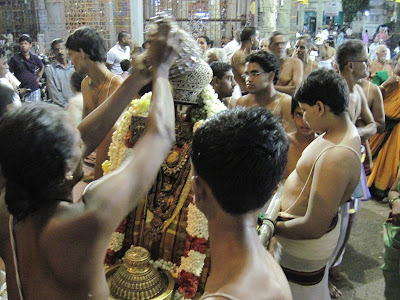 Today num Acharyar had purappadu on Yali vahanam. 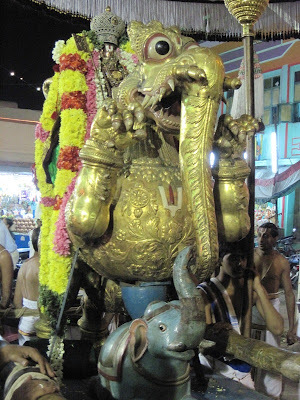 Yali is a mythical creature seen in sculptures of many temples, often seen on pillars. It looks like a Lion headed strong animal with the trunk of elephant and often portrayed as having in its control an elephant, thus exhibiting its power. Here are some photos taken during the purappadu of Swami Manavala Mamunigal. The first and second photo were taken during the mangalasasanam and Nammalwar mariyathai to Swami Varavaramuni.